Since graduating from Grant MacEwan College in 1990, Chris has become a key player in the Alberta music scene. His musical diversity can be seen through his numerous performances over the years in genres such as jazz, funk, pop, latin, or musical theatre. He has studied in Cuba and has toured across Canada countless times in a number of bands in various musical styles. Although well known as a jazz educator in Alberta, Chris is best known for his ability to play. In the jazz vein, Chris’ resume lists a veritable who’s who of jazz. 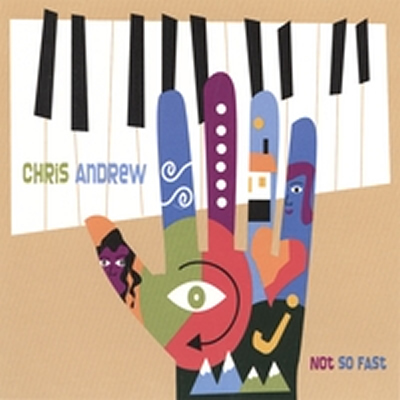 Chris has performed with Joshua Redman, Sonny fortune, Bud Shank, Pete Christlieb, Joe LaBarbera, P.J. Perry, Kirk MacDonald, Paquito D’Rivera, Brad Turner, and Steve Wallace just to name some highlights. On the local scene, Chris has performed or recorded with numerous well known groups including The Jump Orchestra, Maracujah, Bomba, Kelly Allana, Tim Tamashiro, The Swinging Bovines, The Edmonton Symphony, Phatty, and The Devoties. Chris spent the first half of 2005 as the musical director for the Decidedly Jazz Danceworks show: ?BULLA!, in which the song ‘3 Corners of Emotion’ from the Hutchinson Andrew Trio was featured. Chris has recently been honoured with the CBC Galaxie Rising Star Award for his virtuosic talent.